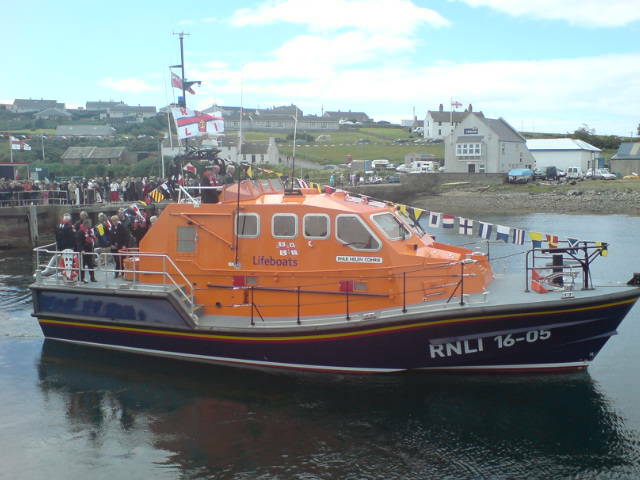 Orkney Image Library - Longhope Lifeboat Helen Comrie. Pictured after being offically named by the Duke of Kent today. Camera Phone picture...sorry for the poor quality. Hi Craig, we would like to display your photo at our folk club next month where we are planning to perform a song about the Longhope lifeboat. Would you be able to give us permission? We are also preparing a small leaflet and would like to include your photo in that. There is no money involved, we all perform for free, and entry is free to all. We are based at a charity in Aberdeen and the folk club aims to support the performance of love folk music in our community and help people make connections.